Does your company realize the benefits of using Microsoft Access? Whether you’re a corporate trainer, or a computer instructor who works with business professionals, it’s important to understand the ways Microsoft Access can eliminate errors from your business’ and streamline the data entry process. Many companies rely on Microsoft Excel to keep track of customers, orders and more. While this is an excellent choice for smaller projects, Access is much more efficient for large, multi-spreadsheet projects and for analyzing related data. Here are some of the benefits of using Microsoft Access. Form Connections. With Access, users can form relationships between selected data such as all of the sales reps for a particular company, or the abbreviated and long versions of company names. This way, your reports are much more accurate since the program is able to “recognize” similar data and make the appropriate connections. Eliminate Duplications and Inconsistencies. Maybe one admin types in Robert Williams Construction and another types R.W. Construction. Excel has no way to understand these entities are the same. Using Access, you can eliminate the common duplications, transpositions, and inconsistencies, that produce erroneous large, data-based reporting. Shared Productivity. Another bonus of using Microsoft Access is that multiple users have access to the same information. Rather than depending on find and replace functions, if you change information in once place, that change will transfer across users and spreadsheets. If you think your students, employees or clients would benefit from Microsoft Access training, contact Labyrinth Learning for Microsoft Access learning materials for beginner, intermediate and advanced students. 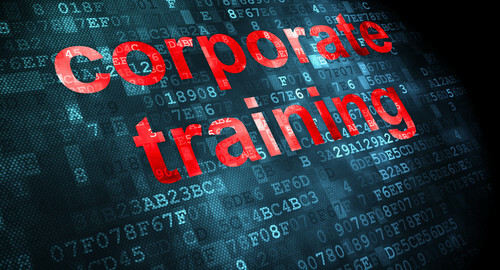 As a computer teacher or adult education instructor, you may find yourself working as a corporate trainer. Professionals seeking to stay on top in today’s corporate world can benefit from regularly refreshing their technology skills. Your job is to provide the knowledge and practical know-how to take their computer skills to the next level. In order to be a corporate trainer, it can help to get into the mindset of your professional students and to get them fired up about their Microsoft learning opportunity. Here are some suggestions straight from Marianna Swallow. Define Your Lesson. In the corporate world, a trainer needs to clearly define his/her message. Rather than stating, “This semester, I’ll teach you about Windows 8,” keep your message specific, “This semester you are going to learn how to ____, ____, and ______ using Windows 8.” This will help to keep your students focused and on task. Provide Hands-on Examples. A corporate trainer might have the students create an Excel spreadsheet using company data, or embed their logo and other relevant images into a PowerPoint presentation. These actions help to reinforce the trainer’s message. As an instructor, you can use innovative textbooks and software that provide your students with real time examples of the concepts you are teaching in class. They will be able to take those back to their workplace and implement them immediately and successfully. Labyrinth Learning is the ultimate resource for instructors who work in the corporate arena.